experienced mare for leisure and hacking! 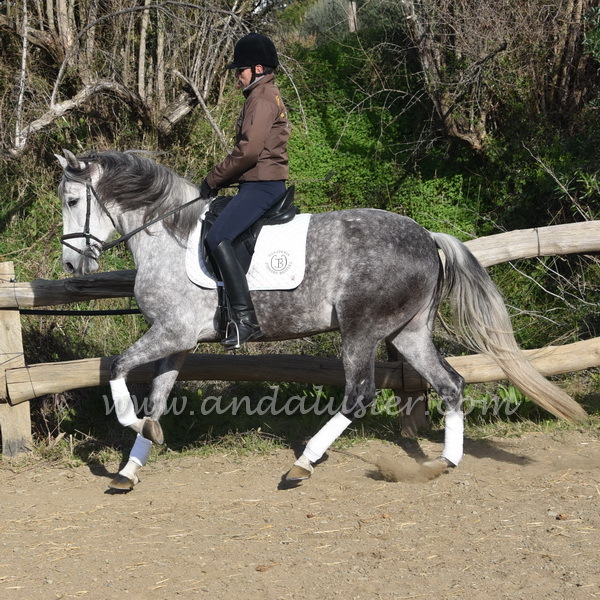 Membrillera is an experienced mare for leisure and hacking, she has been ridden only outside and even participated in the pilgrim ride „ El Rocio“ as well as several romerias and ferias. She is absolutely bomb proof, even along busy roads as you can see in the video. Her origins are PRE but she has never been registered and has an international passport.